SÃO PAULO, BRAZIL – As the international spotlight shines ever more brightly on Brazil, more and more companies will be looking to set up offices in the country. Changing jobs, moving house and choosing schools can be stressful enough in your own country (and language) so when it comes to relocating to Brazil’s largest city, many recommend an agency to make the process easier. São Paulo, photo by Andre Deak/Flickr Creative Commons License. While Rio de Janeiro offers several relocation agencies, many specializing in the petroleum industry, São Paulo of course is the financial and commerce hub of Brazil. To help approach the world’s seventh largest metropolitan area (with approximately 18,850,000 people) a SP-based relocation agency can offer some coveted local advice. The key is insider knowledge in some critical areas, choosing housing, advice on schooling, and of course learning Portuguese. Choosing the right agency makes all the difference, and here are three that stand out for English speaking adventurers. 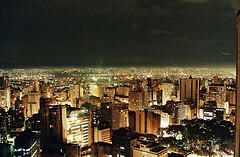 Brazil Relocation Centre (BRC) is located in São Paulo but offers assistance in most of Brazil’s cities, including Rio. BRC offers various services including temporary housing assistance and an overview of the different neighborhoods and the best Expat areas. They have access to a large number of brokers and are happy to assist with lease negotiations and contract signings, very useful if your Portuguese skills are somewhat basic. 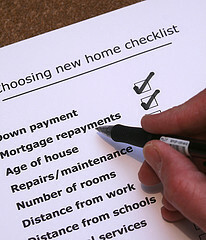 Once your home is secure they will also offer assistance with utilities and phones and televisions. As well as assisting with the practical side of arriving BRC also offers a social integration program which includes advice and visits to schools and advice on the registration process. They are also happy to offer information about bringing pets, children’s entertainment and help to secure domestic help. All things bound to smooth over the move. London-Brazil is another agency specializing in São Paulo, but with services extending elsewhere in Brazil. Despite the name they can help with relocation from cities worldwide. Founded by a Brazilian and an Englishman, London-Brazil can liaise with both individuals and the HR sector of your company to ensure that moving becomes a straightforward, uncomplicated task. All matters relating to the rental of your home, including maintenance and repair can be handled by the company. Photo by Alan Cleaver/Flickr Creative Commons License. In addition to housing support London-Brazil offer a Corporate Concierge Solution, a service the company call CSS. This CSS includes help with entertainment, travel advice, the provision of translators and Portuguese lessons. The company can also provide a Personal Assistant to offer support at meetings or negotiations, or to take on projects and tasks ensuring your business does not suffer during the relocation. London-Brazil can offer all this assistance for short-term trips too, often partnering with clients early on in the relocation process. With 15 years of experience, EXPAT is an experienced relocation company based in São Paulo. The company is happy to liaise and work with the HR department from your company and offers extra support for the individual during the move. The process starts with a pre-trip assessment, extremely useful for cutting through the complex bureaucracy that is the visa process. Help with documentation for bank accounts, utility bills, travel documents is all part of the service. They also provide a housing service and settling in program, but where EXPAT really come into their own is with the emphasis on the importance of learning Portuguese. EXPAT offers beginners lessons, courses, intensive programs or on-going classes. While São Paulo can be a daunting move for many, help from a professional services agency can literally pay off in kind, time, and peace-of-mind.